I did mention some day that I am a huge fan of Churros, didn't I?! I even made them myself one time (HERE). 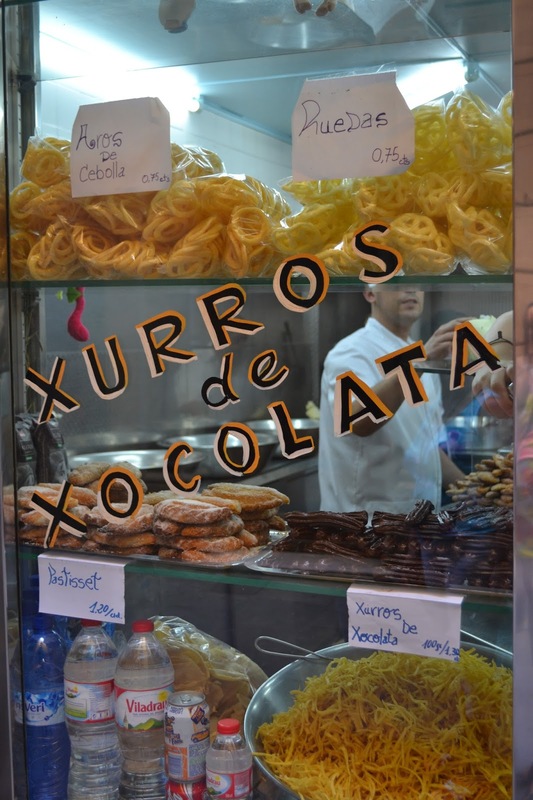 If you now ask yourself, what the hell these Churros are..well, it is heaven in your mouth - a very greasy "pastry" made out of a sticky dough dipped and coated in sugar, chocolate or dulce de leche. A dream, right? The best place to try them is definitely Spain or South America. The place I am talking about is a very traditional place that exists for quite some time already and does not seem to be one of those touristy spots that sell ridiculously small portions and demand high prices. The lovely old lady is happy to sell you as much churros as you want, puts them in a little paper bag and coats them with a lot of sugar. Prices are between 1,5€-4€, depending on the size of your portion. Don't miss this!